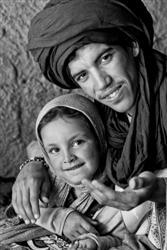 MOHAMED : Mohamed is a young Berber born and raised in the desert of southern Morocco. He speaks English, Spanish, French, Italian and Arabic, and also Berber. Mohamed enjoys the simplicity of life in the desert and finds great satisfaction in revealing the quiet south to travelers. He has many years of experience guiding travelers through Morocco, his specialty being both routes through the desert and camel routes to the south of the country. Affable and patient, knowledgeable and attentive, Mohamed has the qualities that make him a very competent guide and a great traveling companion. With his company you will definately enjoy your trip in Morocco. MISCHA : Mischa is an English artist who has lived most of her life in Spain, she speaks fluent Spanish and English. 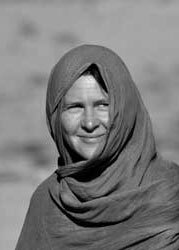 As a keen photographer and traveler she has become very inspired by her visit to the desert and connection with the Berber culture. In a short time she fell in love with the lifestyle there; one of purity, simplicity and a feeling of timelessness. This is one of her main aspirations in life, to be able to integrate these special qualities in herself, even though she lives in a part of the world where there is more emphasis on consuming and searching for happiness from material goods. Saharabereber was created in Morocco to fulfill all your travel wishes on your trip through this enchanting North African country. Enjoy a smooth and peaceful experience, in all the adventures you may encounter. We organize large expeditions in Morocco with interesting excursions to the desert, choose the cities you would like to visit and we will prepare a tailor-made tour around Morocco, we also have a selection of prepared routes with the best combinations and spectacular destinations. Morocco is a country of contrast, and therefore you will have a lot to see: from the Mediterranean and Atlantic coast to various forms of landscapes of mountains and deserts. Undoubtedly Morocco offers a rich experience for the traveler. You can let us guide and keep you company during your journey through Morocco, that way you can discover different places and meet the natives of this wonderful country. Due to its size and diversity, Morocco offers infinite possibilities. The tours we offer, compiled after our long experience of travelling through this Magreb country, include the most characteristic of its geography: mountains, cedar forests, the Rif Mountains, deserts, beaches, palm tree plantations and oasis, the presence of ancient fortified “Kasbahs”, remote Berber villages and the main cities. With Saharabereber you will be able to enter the deep Atlas mountains, experience the unknown sights of Morocco, rural untouched areas, giving time to see the life of its people, to observe the daily life of a special culture always welcoming you with a smile and a glass of mint tea. On this journey we will discover an amazing labyrinth of gorges connecting the villages to fertile valleys, enormous oasis, well known Kasbahs and others which are almost forgotten ... endless surprises. You can also visit the well know sights of North Morocco, the “ Blue village ” Chaouen, Essaouira and the imperial cities like Fez, Rabat, Meknes, Marrakech or the Roman remains of Volubilis.